Burnley Football Club has been a member of the Football League since the foundation in 1888. Over the years the club has won two league titles (1921 and 1960) plus the FA Cup title once (1914). Some of the biggest profiles in the history of the club are Jerry Dawson, Tom Boyle, Bob Kelly, Jimmy Adamson, Jimmy Mcllroy and John Connelly. 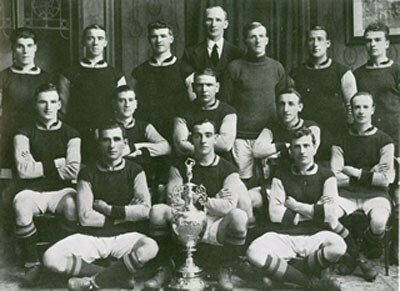 The champions team of the 1920-21 season. The club was founded in 1882 when the Rugby Club Burnley Rovers change sport from rugby to football and become Burnley Football Club.